This medium-size quadrotor [Fig. 1] is being used both indoors and out- doors for developing and testing 3D localization and mapping algorithms. Its navigation payload includes two on-board Inertial Measurement Units (IMUs), a GPS receiver, a camera for navigation and mapping purposes, and an on-board computer. Figure 1: (a) Ascending Technologies “Pelican” with on-board camera, IMU, and processor for performing navigation tasks. 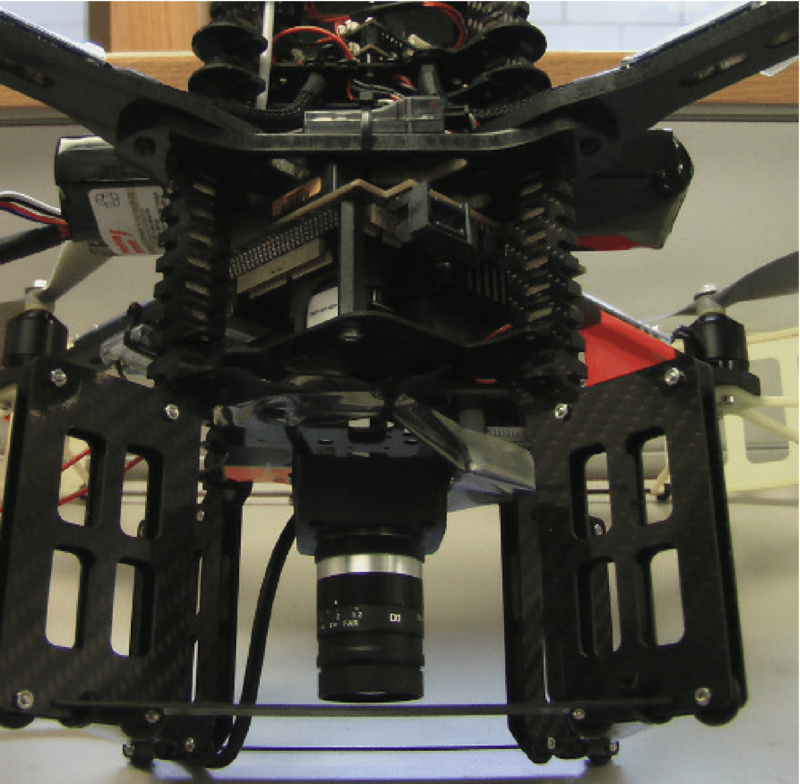 (b) View of the quadrotor payload. This large-size quadrotor [Fig. 2(a)] is used outdoors for developing and testing 3D localization and mapping algorithms. 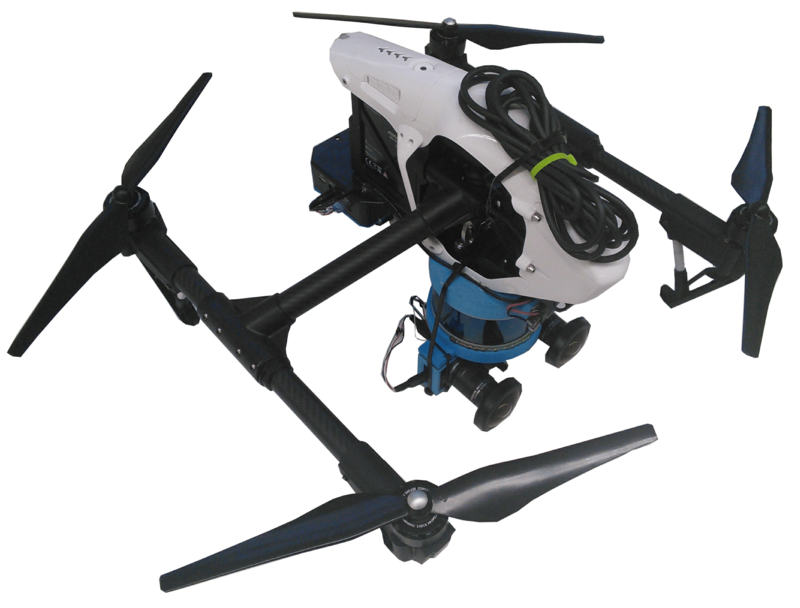 Besides the sensors that the Inspire 1 comes with (IMU, GPS, and 4K camera used for stabilization, waypoint navigation, and aerial photography, respectively), we have instrumented this quadrotor to also carry a Velodyne PUCK 3D lidar, a stereo camera pair, a miniature-size IMU, and an Odroid ARM-based processing board for testing and validating large-scale localization and mapping algorithms [Fig. 2(b)]. 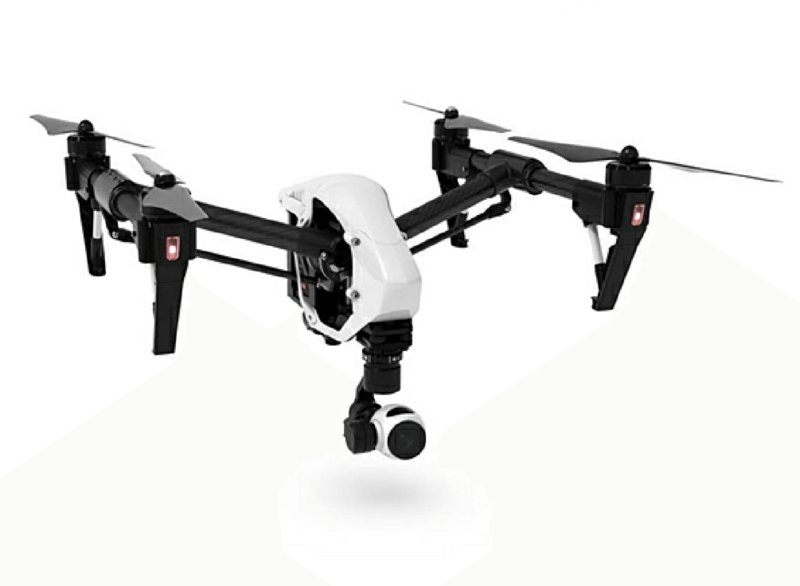 Figure 2: (a) DJI’s “Inspire 1” (b) “Inspire 1” equipped with additional sensors for large-scale localization and mapping. 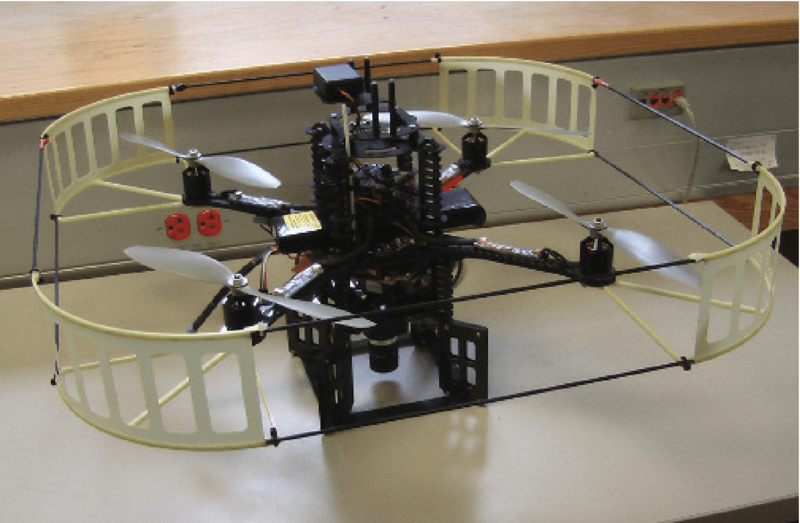 These quadrotor frames are used for testing 3D localization, mapping, and navigation algorithms indoors. The F330 [Fig. 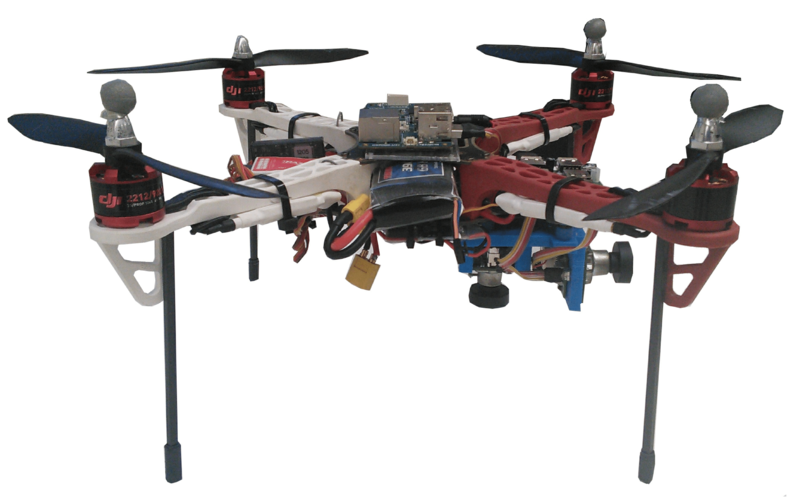 3(a)] is ideal for flying with a small-size IMU, and one or two cameras in different configurations while using an ODroid processing board for supporting its onboard vision-aided inertial navigation system (VINS). The F450 [Fig. 3(b)] has larger payload capacity and can carry Google’s Project Tango cell phone, which has a fisheye camera and a quad-core ARM processor. Both quadrotors are also equipped with PX4Flow sensors that comprise a narrow field-of-view (fov) camera and a ultrasonic range sensor for measuring the speed and distance from the ground of the vehicle. Lastly, these two quadrotors carry sonar rings used for obstacle detection and avoidance. Figure 3: DJI’s “F330” (a) and “F450” (b) frames modified for autonomous navigation. This quadrotor [Fig. 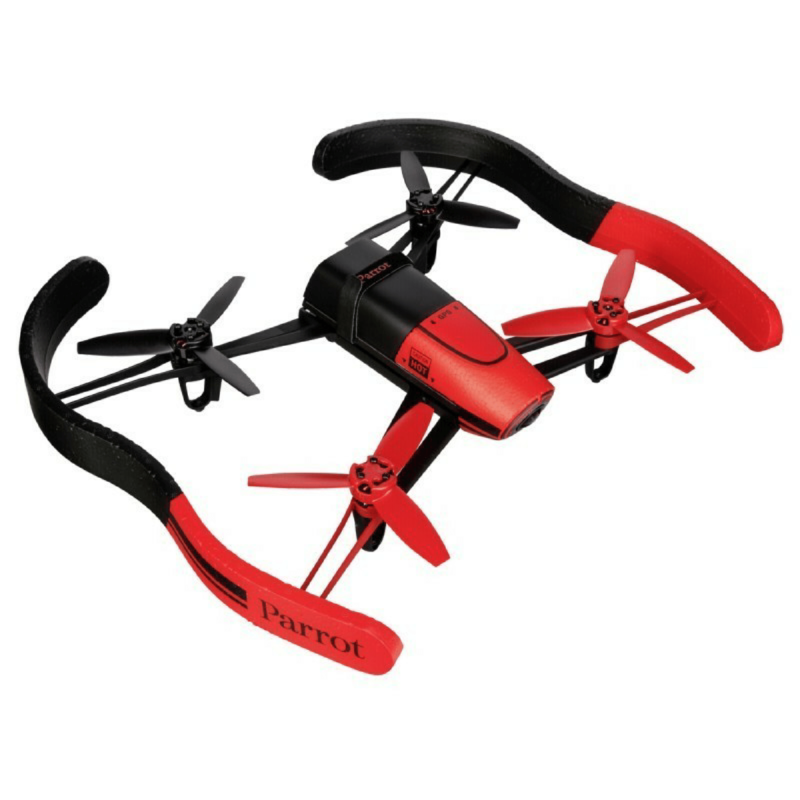 4(a)] is the new, upgraded version of the Parrot’s ARDrone. 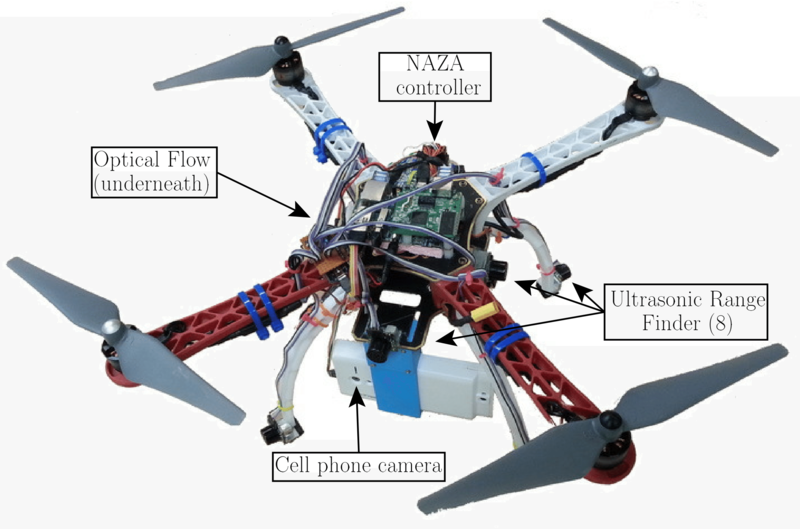 It was designed for teleoperation using a mobile device, and as it predecessor, it includes two cameras (forward and downward facing), an IMU, a GPS receiver for outdoor navigation, an ultrasonic range sensor for maintaining a constant height when flying close to the ground, and a wireless router for communication. 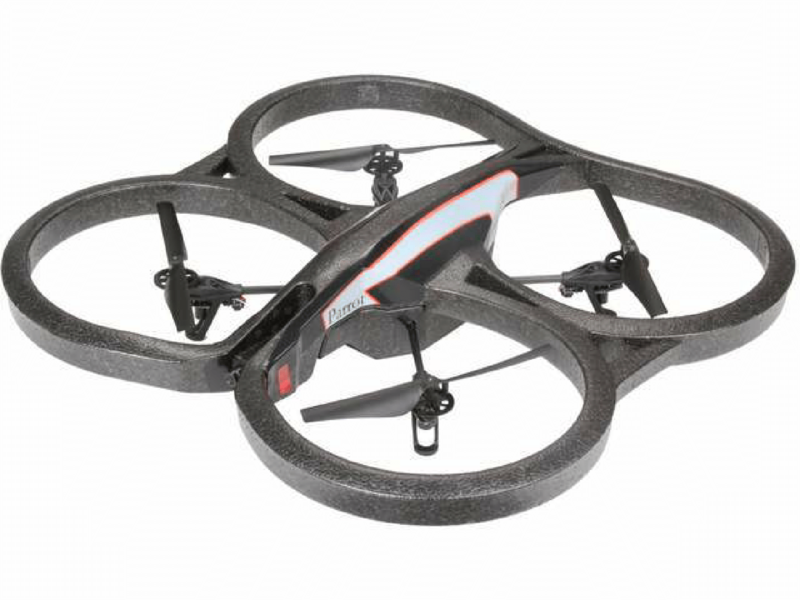 One of its main advantages, as compared to the ARDrone, is the increase in processing power. The Bebop carries a custom-made processing board with a dual-core 800 MHz ARM processor, which we use for implementing and testing autonomous navigation algorithms based on visual servoing and VINS. Figure 4: (a) Parrot’s “Bebop” (b) Parrot’s “ARDrone”.